Dress fit great! I got a lot of compliments on it! Delivery from China was fast I got it in 15 days! Will be ordering again! David worked with me patiently and kindly to arrive at the design I had in mind. 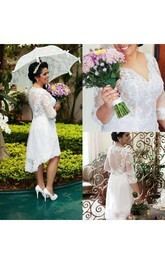 I sent inspiration photos and body measurements; he sent samples of lace. 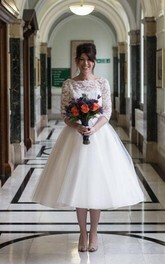 When the dress arrived, it fit beautifully and was EXACTLY as I'd hoped it would be. 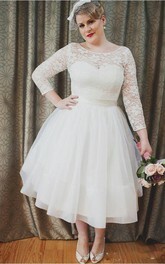 I honestly did not expect to have a made-to-measure dress on my budget, much less one this lovely. The materials are manmade but the workmanship is excellent. Thank you so much! 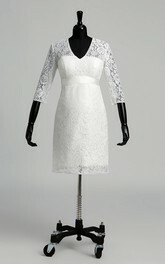 The lace sleeve dress is absolutely gorgeous and the workmanship excellent. It was delivered on time and David was a great help with payment and all my questions along the way. Unfortunately, I should have double-checked my measurements, as I'm not sure that the lady who took them really did them properly. David actually offered to Skype with me to do them, and I should have done that. The hips are slightly too big, and the top is quite tight. I'll have to get the hips taken in slightly, but it shouldn't be a problem. Hopefully the lace on top gives a bit so that I have more room. All in all, I would definitely order from the shop again! Never in my life have I felt more beautiful in a piece of clothing, thank you for custom making this wedding dress for me. I cannot express how grateful I am and how genuinely pleased I was while communicating and putting my trust in June to creative and deliver the most gorgeous dress I have ever seen. June has such talent and kind souls. 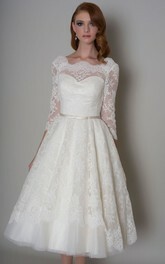 I know your company will prosper and I will forever be pleased to say I own an beautiful little wedding dress. They know what they are doing and they exceeded my every expectation! he captured the dress so beautifully and has immense talent. I cannot say enough great things about David. 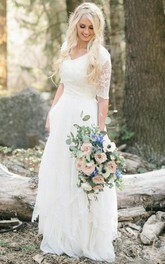 I was hesitant to order my wedding dress on the website. 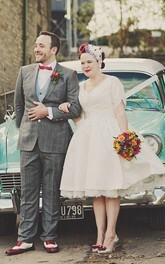 David was extremely patient with me for over two and half months before I ordered the dress. he sent me samples of the material (which took a little while to arrive but that is to be expected) and even gave me suggestions for a similar dress he thought I might like better. I ended up ordering him suggestion (with a few edits) instead of the one I had picked out originally. 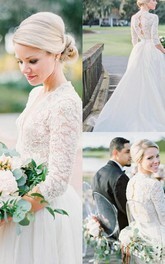 The elegant wedding dress is BEAUTIFUL! item fit me perfectly and are exactly as presented in the pictures he has on him website . David is AMAZING! sent my measurements in over Skype with assistance from my husband since the dress was needed quickly for a wedding 4 weeks away! the turnaround time was incredible, extremely well made and fit like a glove, with only simple alterations needed which my mother in law was able to complete. 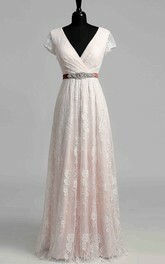 this will be one of many dresses I intend to purchase from the website. 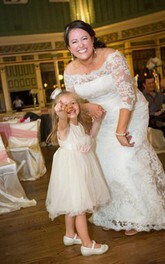 thank you SO MUCH David, the dress was stunning! OMG! This dress is so pretty. I am totally in love with my dress. I fall in love with this dress the first time I saw it. 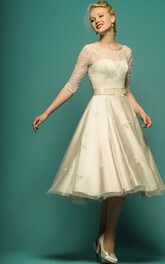 Though the price is little over my budget, but for a dress like that I did not mind paying a little extra money. 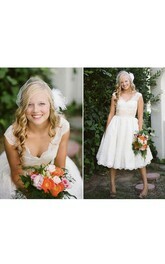 I love this knee length wedding dress. 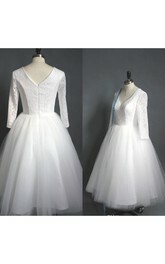 It is perfect for garden wedding. 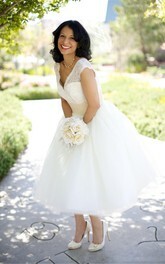 I highly recommend this dress to any bride to be. Used it for my second wedding and it turned out to be the perfect pick. 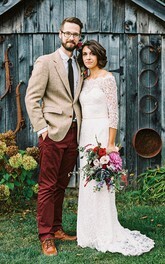 I felt so comfortable all day and the simple style matched the wedding. 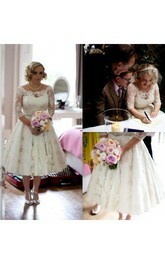 The best short wedding dress ever! They have done a really wonderful job at this dress. The built in support makes this dress more perfect. 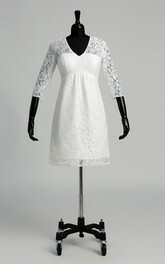 Long illusion sleeves add a touch of elegance and make this dress suitable for all ages. It would even suit plus sizes.